Vermont Public Radio’s headquarters and main studios are located in Fort Ethan Allen in Colchester. Since its beginnings housing cavalry troops in 1894, Fort Ethan Allen has occupied a significant place in Vermont’s history. It was one of the largest cavalry and field artillery training posts in the U.S. and home to as many as 8,000 people and 1,800 horses. In 1961 the Fort ceased operations as an active army base. 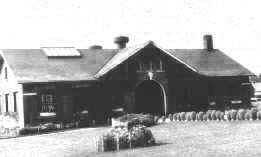 In the early 1990s VPR purchased and renovated what was originally the Fort’s veterinary hospital, which was built in 1908 and used to perform surgery on and care for the 1,800 horses that once lived and worked in the fort. The interior was upgraded to be a workable, modern radio facility while keeping many of the original elements such as the tin ceiling in the front lobby, the shape and materials of Romanesque Revival doorways and the rings mounted into the brick walls in the stable where horses were tied while waiting for treatment. The exterior was restored to its original condition, with the exception of an addition to the rear of the building to house our Master Control Room and Talk Studio. Fort Ethan Allen's veterinary clinic prior to VPR's purchase and renovation. When the new headquarters opened in 1995 VPR had just 20 employees and no vision to become the local news presence it is today. Since then, VPR has built a local newsroom, created two distinct broadcast services: one for news and the other for classical music and moved beyond the broadcast with an extensive digital presence. 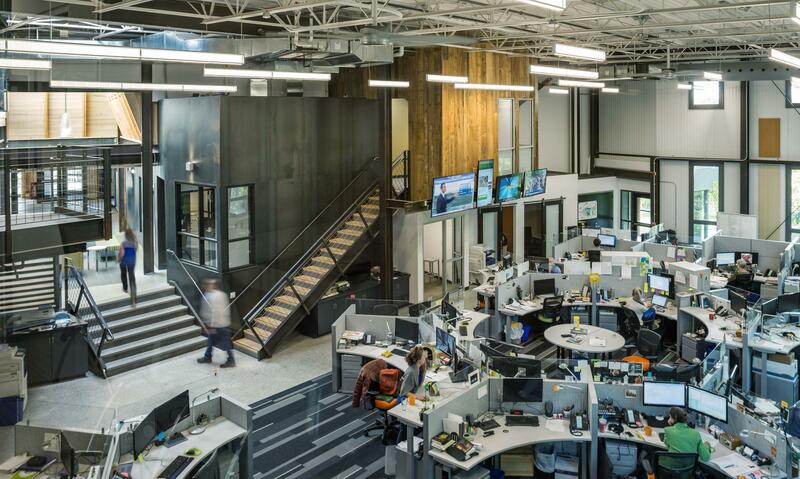 The building was originally designed for a maximum of 27 full-time employees and by 2015, VPR had more than double that number. In 2015, VPR broke ground on a renovation and expansion of its headquarters, made possible by the VPR Next Capital Campaign, which was successfully completed in 2017 . The expansion not only has provided the much-needed space for its staff, but for the first time, VPR’s news, programming, Vermont Edition and digital teams are working together in the same space, which fuels creativity and collaboration. The result is better local news coverage, expanded digital content, investigative reporting, podcasts and more. The renovated headquarters also has allowed VPR to open its doors to the public like never before with Stetson Studio One, a live performance studio with 120-seat capacity and live video and audio broadcast capabilities for greater connection with audiences near and far. The facility was built to LEED silver standards for environmental responsibility and sustainability. It was designed to be “net zero" and the architectural and construction teams have both won awards for “green” construction and environmental design for the project. Finally, the renovation made important structural upgrades such as fire suppression, technology infrastructure improvements, more efficient cooling and heating systems, more bathrooms and accessibility for all visitors. In addition to its Colchester headquarters, VPR has studios in Norwich at King Arthur Flour, Montpelier at the Capitol Plaza Hotel, Brattleboro at the Latchis Hotel and Rutland at PEG-TV.